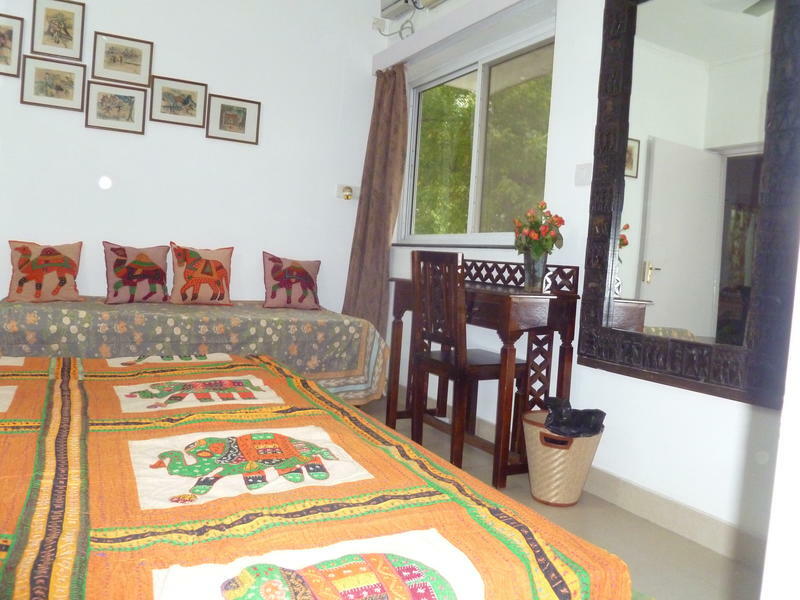 Maya's Nest is a Home stay Bed & Breakfast style Guest House - very safe specially for single women travelers. This budget accommodation is in a gated community. The Bus stop is across the street while the metro is at the other end. Cozy and relaxing common area enables all the guests to share their travel experiences, watching TV. reading books from the Mini library. Being a travel professional you are welcome to consult and book tours & tickets with Maya's Nest at competitive price. 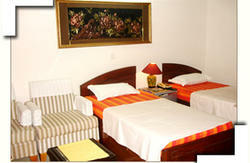 Hi speed WiFi Internet covering all the rooms in Maya's Nest could enable your log onto Facebook and other SNS easily. Option of walk in the park next door or better still take yoga lessons. Home delivery menus are just a phone call away available through out the day, so you will never be hungry! Beautiful location in very green surroundings next to the DLF Malls - The DLF Promenade and The DLF Emporio the newest most happening place in town. A Radio Taxi or a pre-paid taxi can be picked from outside the airport Exit point gate 6 across the road. Come directly to Vasant Kunj then look for block C2 and then the Flat 2038 Please do not look for signs of 'Mayas Nest' but the address only. This is a residential area so there are no commercial signs. 'Do not let the driver convince you that your address is incomplete / does not exist / is full etc. They make fake calls and take you to fake Tourist Information Centers'. If arriving at the TRAIN STATION NEW DELHI. BY BUS Come out and take bus no. 604 to the police station stop of Vasant Kunj, for Rs 25 per person. This drops you on Nelson Mandela Road. Take a Metro to Chattarpur on the yellow line. From here an auto rickshaw will bring you to our place for Rs 50. 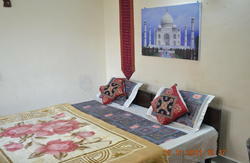 It is very easy and a comfortable - a very good drive introducing to the best part of Delhi. Distance from the Indira Gandhi International Airport is 6 km. Bus stop across the road almost!